There are times when you cannot find 'that quite handy picnic table' to get changed on...and you really don't want your suit and clothing covered in dive site debris. The solution? A changing mat. No it's not a flag! The OWUSS European Scholar Chloé Maréchal and Jim Standing of fourth element demonstrate this new product at the 2013 DEMA Show. The community is divided. Some divers like to make their own. Some divers like to buy their own. When it comes to buying, there is quite a choice of manufactured mats available. 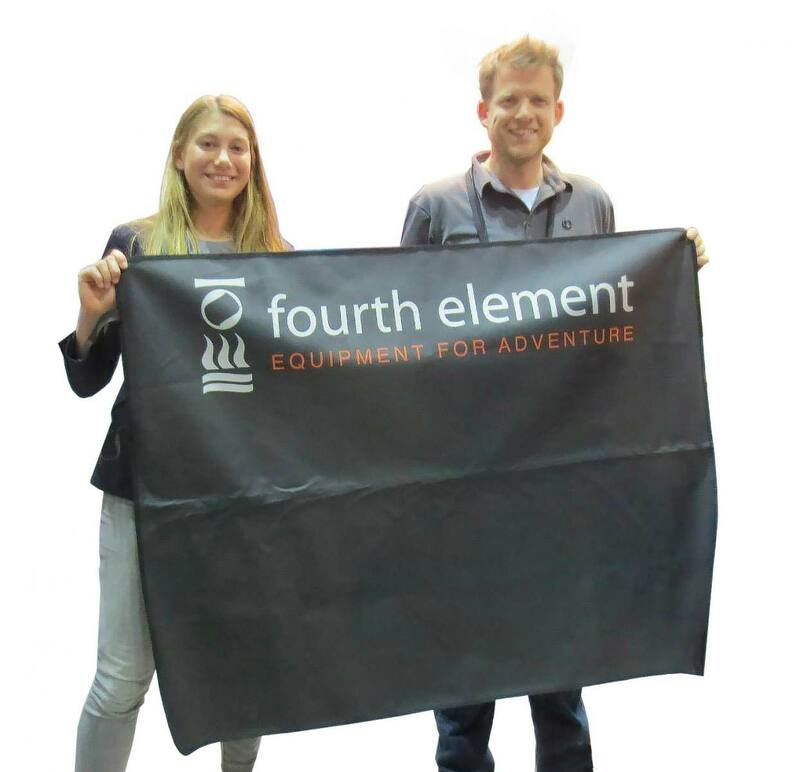 fourth element unveiled their version in Orlando in November at the DEMA Show. This mat is constructed from a hard wearing fabric. It is soft and safe to walk on, and looks to be comfortable to get changed on. The mat doesn't absorb water, and is simple to clean. Just wipe it or give it a quick rinse and after a few minutes in the sun and wind, it will be dry. Finally this mat can be rolled up and secured using elasticated loops, making it extremely packable. A useful accessory for an adventurous weekend away.